Do not leave Chalon sur Saône without having visited the Nikephoros NIEPCE Photography Museum. Nice stay. I would like to give 10 but room too hot and could not change temperature setting. Opened window but noisy. As always staff are friendly and the food is good. However it was too hot in the room and the bedding was too thick . So we opened the windows and got bitten by mosquitoes. Also the beds were too soft . 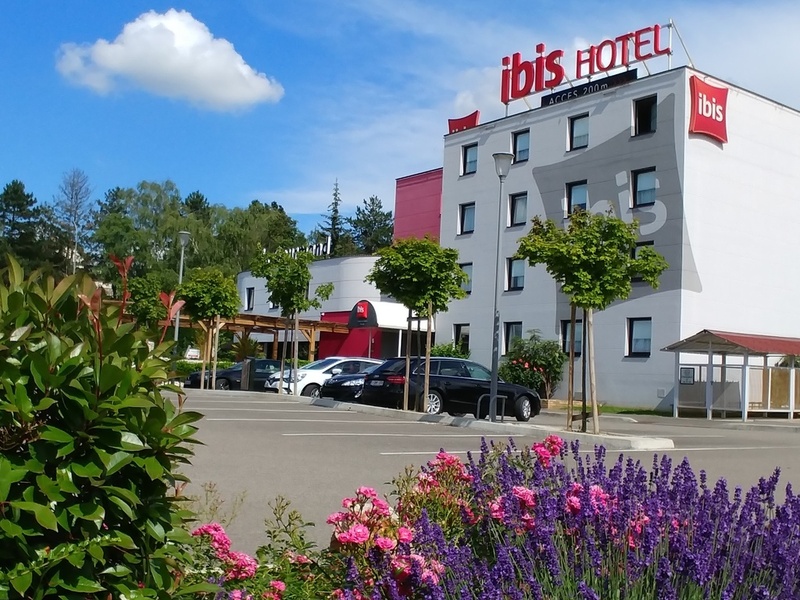 We stayed in another Ibis the following night and the problems were the same only this time I ended up with back ache. Generally everything was fine with the stay but it was let down by a miserable hotel receptionist on the first evening when checking in. Also they key card repeatedly did not open the door. The hotel and rooms were clean and the morning receptionist was very helpful and courteous. Our room was as expected and perfect for a one night stay to break a long journey. The staff were excellent but my experience was let down by a mattress topper that moved around all night and made for a very warm and disturbed night’s sleep. The food in the restaurant at dinner was, in my opinion, below average and very expensive for what it was. I have previously stayed at the IBIS over the road and eaten at the Courtpaile next to it and wish I’d done the same this time. Thoroughly enjoyed our stay. Staff were very pleasant and helpful and the room very comfortable. Staff were really helpful and friendly, nice outside area for eating and drinking,. About 30 mins walk from Chalon Centre. Good restaurant but a little expensive, other chain restaurants nearby though. Hotel easy to find, staff welcoming and friendly. We asked for twin beds but they were so close together we needn't have bothered, the room was so small they couldn't be separated. Room was spotlessly clean but the bathroom was lethal. The surface of the shower both inside and towards the exit was so slippery that my husband hurt his shoulder getting out. The toilet seat was only attached by one hinge and was very 'mobile'. Rare for a hotel not to have tea and coffee facilities in the room these days. Good location and hotel facilities. Very small space in front of the toilet with only 30cm from the wall. We have stayed at this hotel many times, although only for one night at a time. The rooms are very comfortable, the staff very friendly and the location is perfect for those heading further south or north like ourselves. Always use the same hotel. It was a very nice stay. Although we only stayed for 1 night as we were travelling back home. All people were very friendly, the lady at the reception, the people in the restaurant, the lady in the morning at the buffet. Perfect. Only one remark = it would be great if there would be some kind of mosquito nets at the window so that we can keep the window open during the night during sleeping. Short stay and comfortable for the price. bad experience this time, because at earlier stays we had a smooking room, unfortunately not any longer offered, decided therefore lo book another hotel in future! in generell good, but because you changed the hotel to a non-smoking one, we are not going to take a room any longer in that hotel!! !